October reorders saw the Batman White Knight TPB climb to the top spot, after having placed second last week. 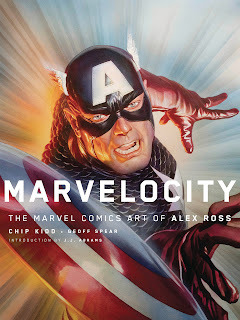 Alex Ross's Marvelocity from Random House was the top reordered hardcover. Harley Quinn #52's foil edition was the top reordered comic. Click to see the charts for October. The top advance-reordered comic of November was Web of Venom: Carnage Born #1 from Donny Cates. Click to see the charts so far for November. 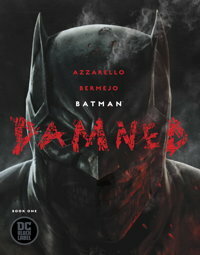 And the top December book and item overall was Batman Damned #2's recently announced Jim Lee variant cover. Click to see what's known so far about comics sales in December. In September, Marvel's Return of Wolverine #1 became the tenth comic book in 2018 to ship more than 200,000 copies and the sixth to top 250,000 copies, according to our analysis of data released by Diamond Comic Distributors. By contrast, only three comics topped 200,000 copies in all of 2017, and only two were above a quarter-million. Click to see the comics sales estimates for September 2018. As reported here on Friday, the recovery in the comics shop market gained steam in the third quarter of 2018, as September comics and graphic novel orders rose 4% over the previous year, allowing the three-month period to close up 6%. Significantly better than the second quarter's 1% win, the $137.5 million quarter was the best in dollar terms since the fourth quarter of 2016. In all, orders during the past six months were up $9 million over the same period in 2017. The $45.18 million month of September was up $1.6 million, meaning that the year-to-year loss piled up this winter was cut in half for the third month in a row. Graphic novels were a big winner in the month, up 12% year-over-year thanks to the Image trio of new editions of Saga, Walking Dead, and Monstress, which finished 1-2-3 in the unit sales charts. Marvel offered a free overship on Iceman #1, doubling its paid orders; it's the only Marvel title all year where an overship is evident, and the extra copies' effect on both Marvel's unit share for the month and the overall unit sales for the Direct Market is negligible. Oblivion Song #7 saw a modest increase and shows evidence of a significant added discount. The average cover price for new comics dropped back down under $4, to $3.93. 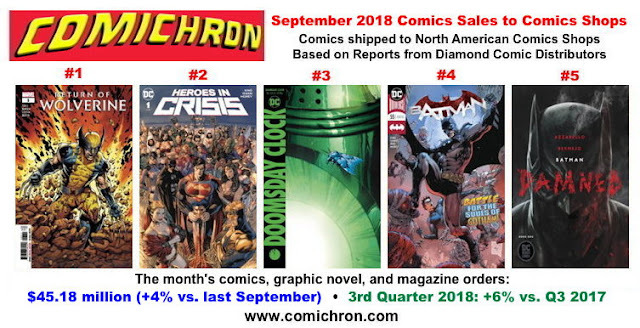 The recovery in the comics shop market gained steam in the third quarter of 2018. September comics and graphic novel orders rose 4% over the previous year, allowing the three-month period to close up 6%. Significantly better than the second quarter's 1% win, the $137.5 million quarter was the best in dollar terms since the fourth quarter of 2016. In all, orders during the past six months were up $9 million over the same period in 2017. Click to visit our page for September 2018 comics sales estimates; the figures will be posted there on Monday. Last winter, my reports that the rate of decline was decreasing may have seemed like an exercise in excess optimism. That wasn't the intention: rather, signs of what might be a market bottom were becoming detectable, and that seemed worth sharing. I tried not to overstate the possible case, as I did in 1998 when I had much less history to look back upon — but it does now appear that the change in trajectory starting last winter was real, and is continuing. The $45.18 million month of September was up $1.6 million, meaning that the year-to-year loss piled up this winter was cut in half for the third month in a row. Year-to-date sales now stand at $389 million, off just a little more than $2 million. I had some concern in late September after a couple of weekly reorder charts came in with very few comic books charting; one week, no comic books at all charted. But comics share the reorder charts with graphic novels, and those charts are measured in dollars — so a dearth of comics entries in a month with many high-profile graphic novels on sale isn't necessarily a negative indicator. 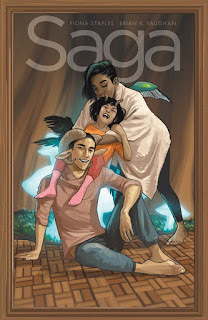 Graphic novels were indeed a big winner in the month, up 12% year-over-year thanks to the Image trifecta of new editions of Saga, Walking Dead, and Monstress, which finished 1-2-3 in the unit sales charts. 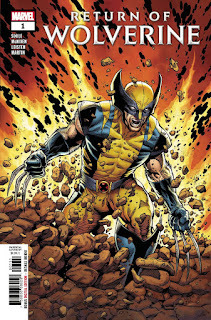 Marvel's Return of Wolverine #1 led new comics sales, with DC's Heroes in Crisis #1 placing second; the controversial Batman: Damned #1 placed fifth in units and second in dollars. (See auctions for the issue on eBay.) Comics unit sales for the month stood at 7.19 million units, down half a million copies against the previous September, which was fueled by Marvel Legacy #1 — and the category is down 4.6 million copies year-to-date. As noted here all year, of course, unit sales comparisons with 2017 are distorted due to that year's inclusion of many overshipped and 25¢ titles (and the lack of inclusion of this year's million-copy DC Nation #0). And there's something else in play. Through September, 4,206 new comic books have been released this year. In the same period last year, the figure was 4,446. That's 240 fewer comics released this year, a drop of 5.5%. It is worth noting that, almost no matter what, October 2018 is likely to be a growth month, as well. It has five shipping weeks, versus four in last October. We give that week back in November — but historically, it's been better to get the extra week in October rather than November due to reduced slates the week of the Thanksgiving holiday. A likely scenario is that October will put the year-to-date slightly ahead and that November will return it slightly behind — leaving December as the deciding factor. December 2017 was a horrible month, which we beat this September by 17% — so it would take a fairly significant change in direction to keep the year below break-even. Click to see what we know about October sales so far. Comichron founder John Jackson Miller has tracked the comics industry for more than 20 years, including a decade editing the industry's retail trade magazine; he is the author of several guides to comics, as well as more than a hundred comic books for various franchises. He is the author of novels including Star Wars: Kenobi, Star Wars: A New Dawn, and the Star Trek: Prey trilogy. Read more about them at his fiction site. No October-shipping comics made the first reorder list for the first week of October, so Heroes in Crisis #1 was the top reordered comic book. 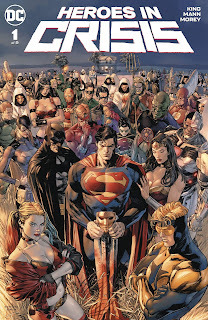 The Final Crisis 10th Anniversary Omnibus was the top reordered hardcover. The first Hellboy Omnibus was the #2 item overall in reorder dollars. X-Men: Black: Emma Frost #1 was the top advance-reordered comic book. It has an on-sale date of Oct. 31. All Star Superman Black Label led softcover advance reorders; it has an on-sale date of Nov. 28. Shazam: Power of Hope led advance-reordered hardcovers; it's due out Apr. 17, 2019. Check out all the October reorder charts here.